Push-in attachment clips, (2) D-ring single-point attachments, and a detachable section for rapid donning/doffing. The Crosstac Tactical Ambi Sling is a multi-attachment point rifle sling particularly suited for use with patrol rifles like the AR-15, or SWAT entry sub-machine guns like the HK MP-5 or IWI Tavor. The BlueSheepdog Crew decided to examine a few of the AR-15 slings on the market to ensure we were using the best option for our needs, and also to examine some of the different designs available to shooters and evaluate the pros and cons of each design. There are several carry options when using the Tactical Ambi Sling, and the Crosstac design allows the shooter to quickly adjust the Ambi Sling to the best carry method for their situation. 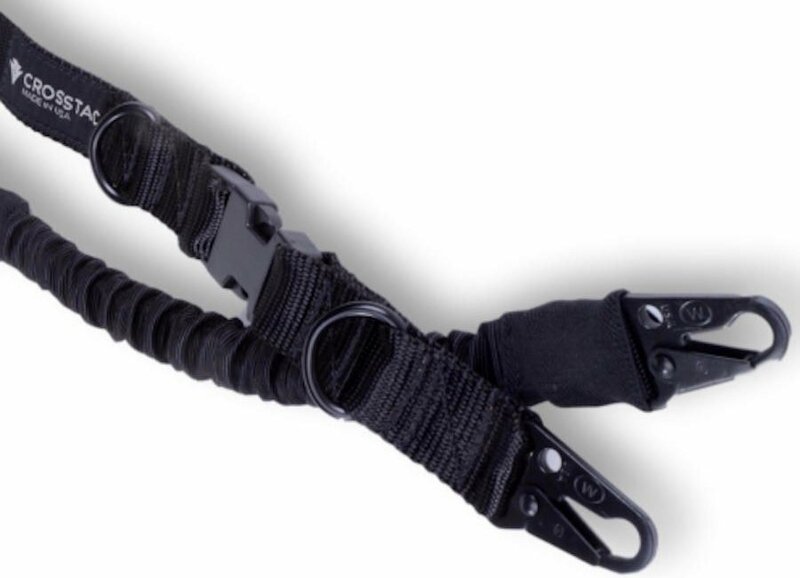 The Tactical Ambi Sling combines a quality nylon strap with a partial bungee cord design. There are (2) mounting D-rings, and each end of the sling has a mounting clip. 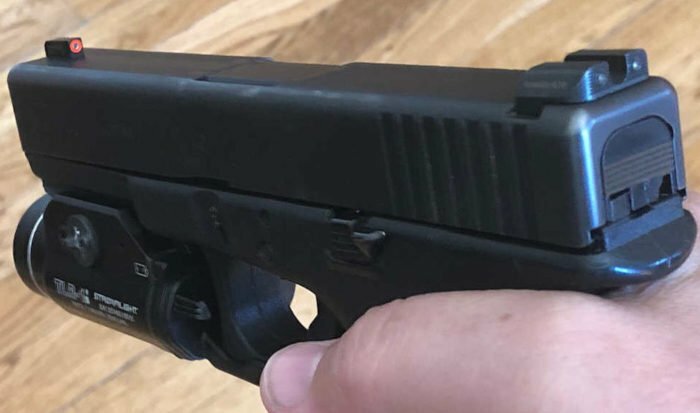 This allows the shooter to decide from (2) different single-point carry positions, or to attach both clips to the rifle for a more traditional 2-point carry. The quality materials and multi-positional design make this sling an ideal selection for use by Patrol Officers, SWAT, competition shooters, and responsibly armed citizens. EDITOR’S NOTE: BlueSheepdog does not sell advertisements on our website, nor do we conduct paid reviews. This allows us the freedom to provide independent, and unbiased reviews for our readers. We do participate in the Amazon Affiliates program. By clicking on the links in our posts, and buying products, BlueSheepdog receives a small percentage of the sale from Amazon without changing the price you pay. These purchases literally keep this site running, so if you’re in the market for a product please use our links to buy! Thank you for reading. Kershaw Faultline new out of the box. 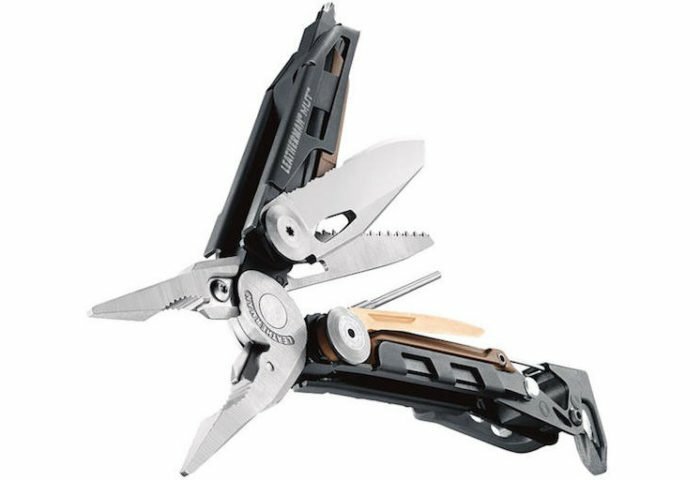 Kershaw Knives has recently released their new Faultline everyday carry (EDC) pocket knife. The new Faultline is a compact folding knife with an easy flipper opening, push-bar liner lock mechanism, and lightweight frame. One of the impressive features of the Faultline are the rubberized grip panels giving the user an incredibly good grip traction, while keeping the overall feel soft and comfortable. 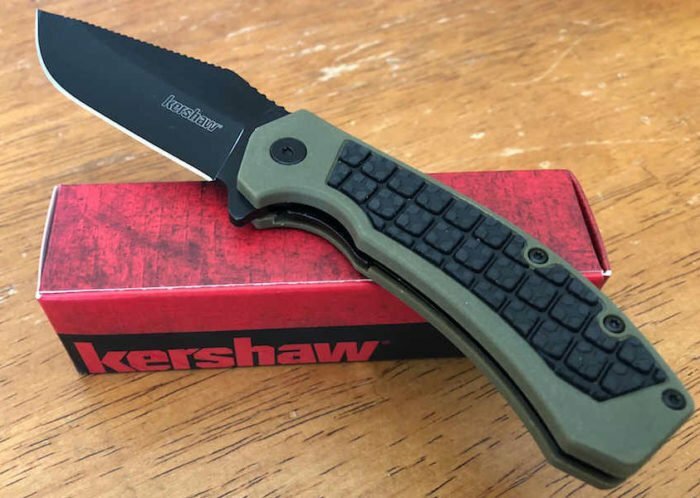 Kershaw Knives made a bold push into the knife market this year, releasing numerous new models in an obvious effort to regain market share and highlight the quality knives made by one of America’s longtime knife makers. In the next few weeks, BlueSheepdog will be conducting reviews on several of these new and impressive knives to give you firsthand feedback on fit, function, and quality of these 2018 Kershaw knives. The Safariland In-Ear Impulse hearing protection plugs use advanced design to provide 33dB protection. Safariland® has recently released their new In-Ear Impulse Hearing Protection plugs, and we were lucky enough to be given an opportunity to test this product. Originally given to select media sources at the 2017 SHOT Show, the new Safariland In-Ear Impulse hearing protection plugs are now available to the public. Hearing protection is as integral to firearms training as the firearm and ammunition itself, and these new plugs offer significant protection from the sharpest, and loudest “crack” from the super-sonic propulsion of the bullet when fired. Safariland is one of the leading holster and firearms accessory companies in the world. However, since its foundation in 1964 as a holster company, Safariland has grown into the conglomerate Safariland Group housing dozens of brands representing a wide array of law enforcement and military products. These brands cover the entire gambit of what an officer or soldier would wear and carry on duty, including the products to maintain and preserve those duty gear items, to the behind the scenes evidence processing sealing a case. Editor’s Note: BlueSheepdog does not have any corporate sponsors, and we do not sell advertising on our site. This gives us the freedom to provide honest and objective reviews to our readers without pressure or influence from sponsors. BlueSheepdog has no financial connection with Safariland Group, and were simply provided a set of In-Ear Impulse hearing protection as a media source for review. BlueSheepdog does participate in the Amazon Affiliates program where we are paid a small commission for clicks and purchases from the links within the article. This does not change the price you pay, but literally keeps us going.